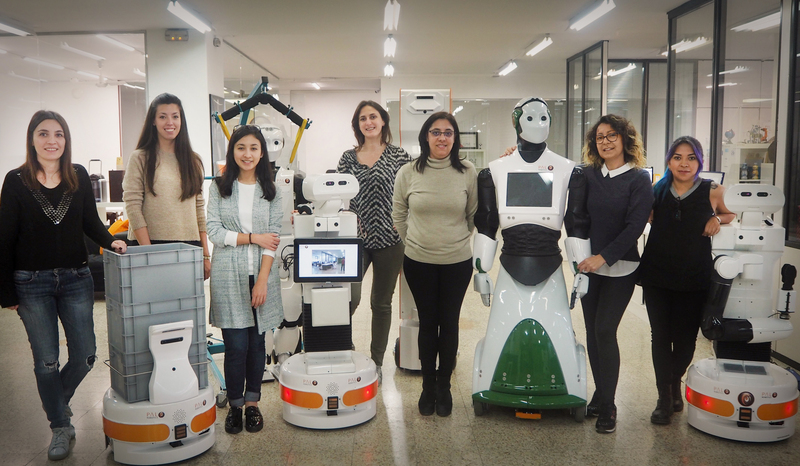 TIAGo robot keeps increasing its multitasking skills more and more! 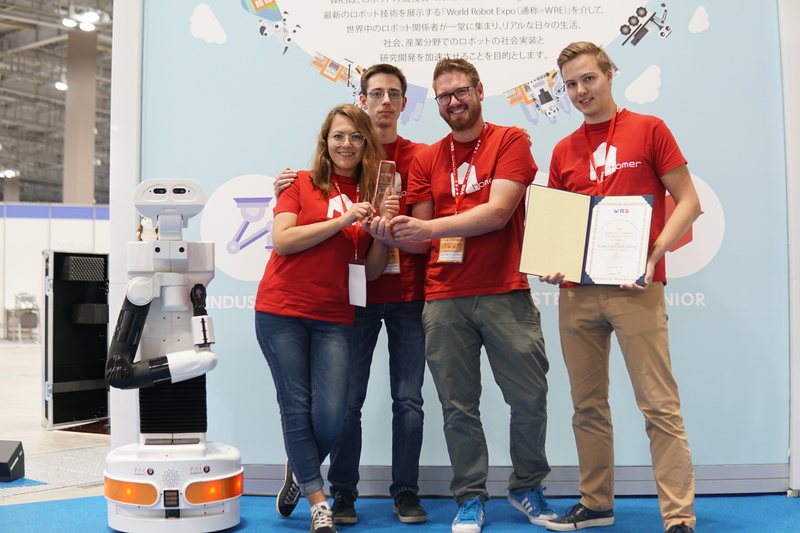 This time, Team Homer (University of Koblenz-Landau) participated in the World Robot Summit Future Convenience Store Challenge in Japan with a TIAGo. 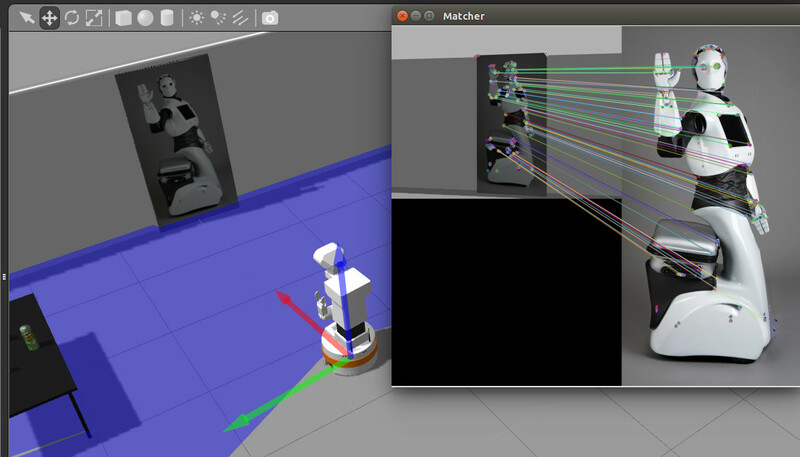 The WRS differs from other competitions they usually take part in, such as ERL or the RoboCup. Still, Team Homer won the Third place of the WRS Challenge – congratulations! 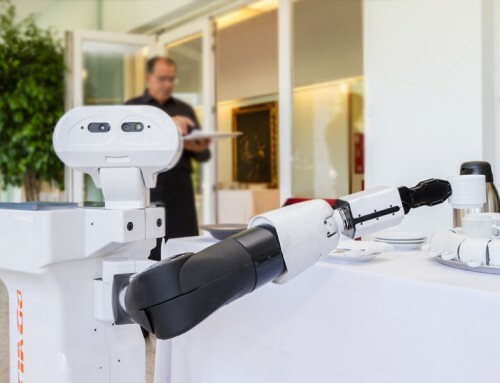 Team Homer was the only team using one single platform – a TIAGo robot – for all tasks at World Robot Summit, “in contrast to other teams that which were partly using highly specialized robots for just one task”, states team leader, Raphael Memmesheimer. The German Team was also the only European team: “It was also quite challenging to compete against big Japanese companies and research groups”, he points out. 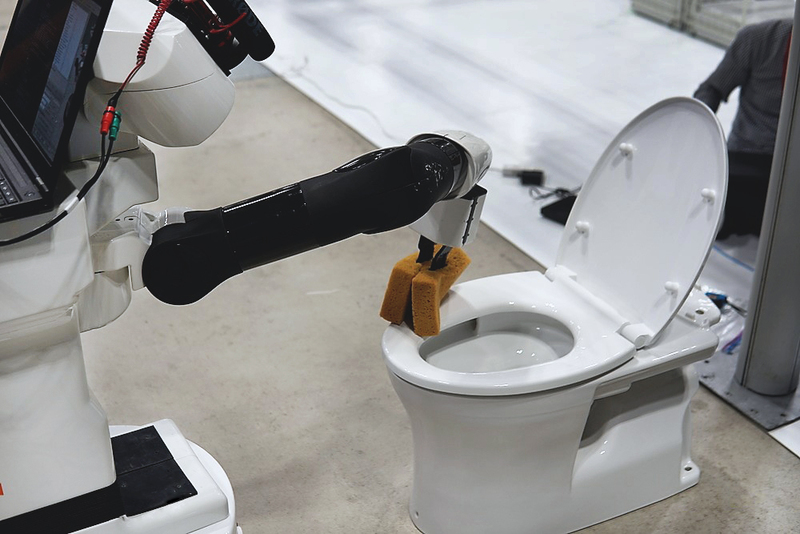 One of the most surprising tasks, and probably the one which attracted greater attention (see IEEE Spectrum or Digital Trends articles) was that of TIAGo robot cleaning a toilet. 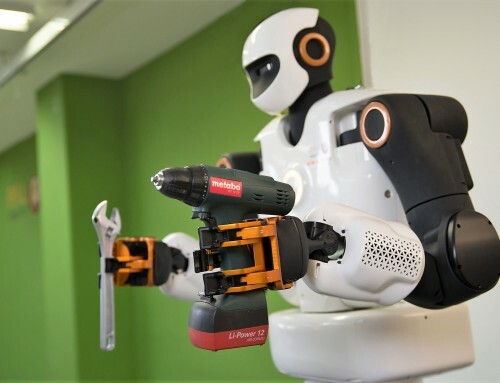 “We were sadly disqualified in the end because the robot didn’t leave the bathroom after cleaning. 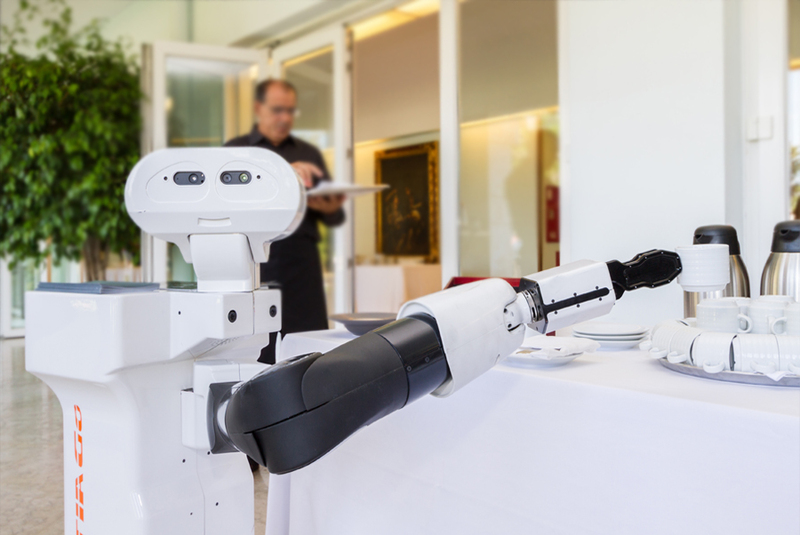 But we achieved a cleaning rate of 30% which was the highest for a mobile cleaning robot at the World Robot Summit”, says Memmesheimer. For this task, Team Homer customized TIAGo’s gripper with an imaginative multi-purpose sponge on it. 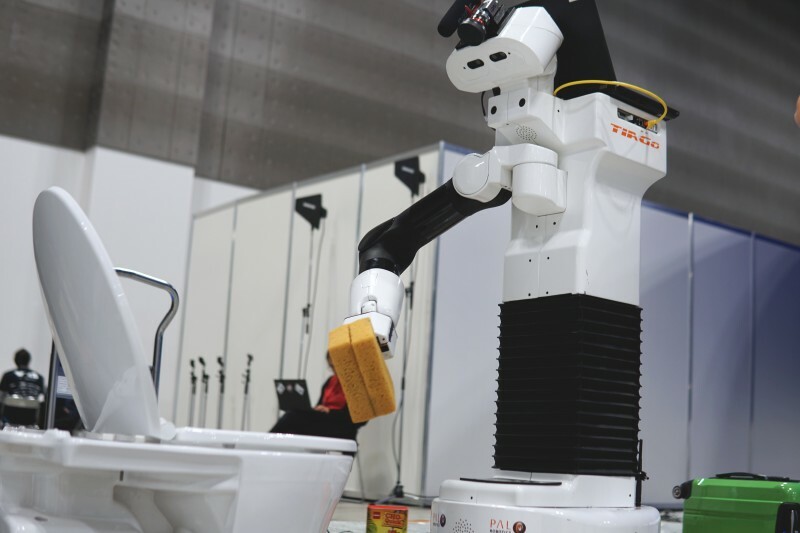 “It was quite a nice picture to see TIAGo approaching the toilet and cleaning it with a sponge end-effector which at the same time was able to pick up toilet paper and toilet roll pieces”, the team leader points out. Team Homer was satisfied with their Customer Interaction Task, for which they coupled TIAGo to a mobile application and a smart shopping bag. 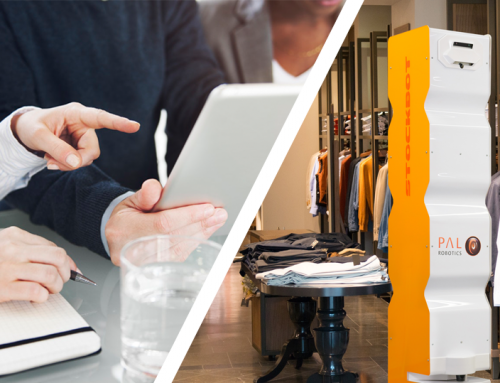 The app was useful for sending store information to the customer and also to communicate with TIAGo. 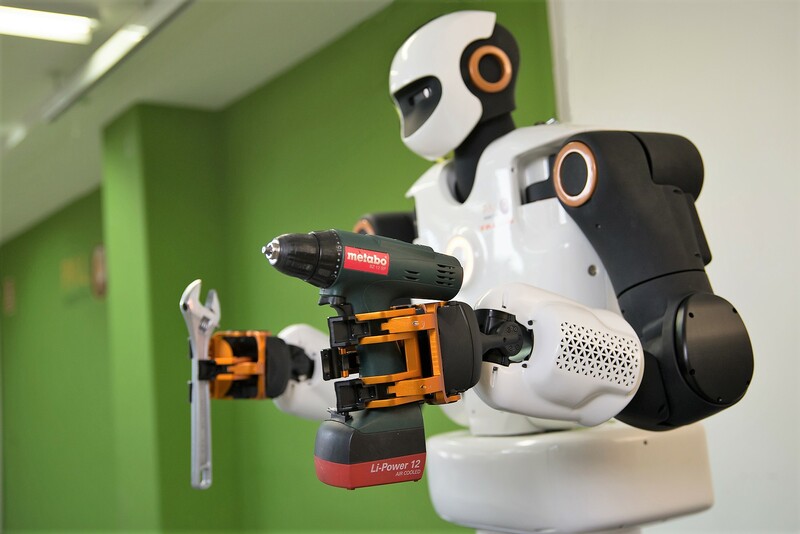 “You could order coffee, which the robot then delivers to the customer, or you could order TIAGo to store a suitcase during shopping”, explains Memmesheimer. 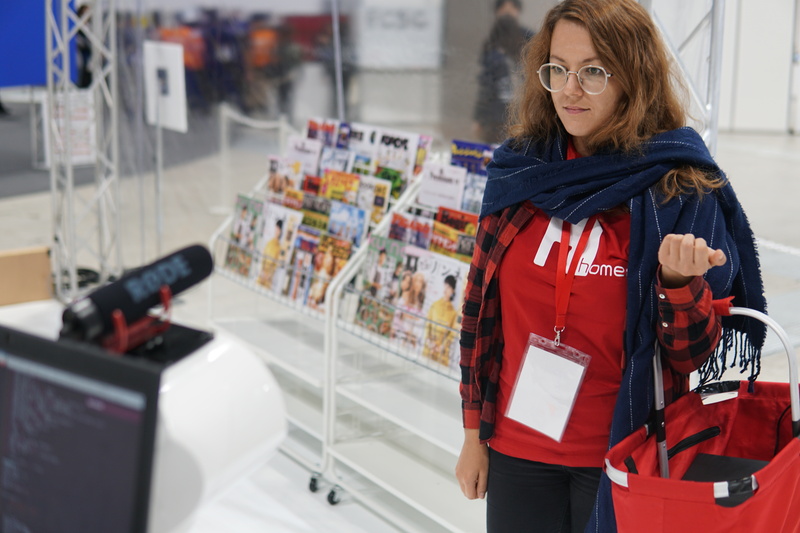 As soon as TIAGo detected a customer waving at it, the mobile manipulator “identified those customers and loaded a customer profile by recognizing their face. By this, he could give recommendations and guide the customer to what they usually buy. For unknown customers a profile was created”, team leader says. 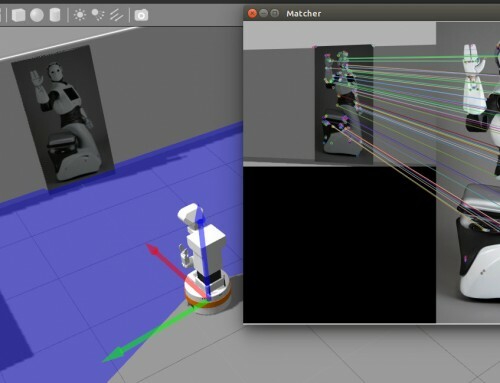 The smart shopping bag detected the products that were put inside it and updated TIAGo and the app. “Once the smart shopping bag got too heavy TIAGo could be called to help for carrying it to the exit. The app also took care of the invoicing and payment”, he explains. 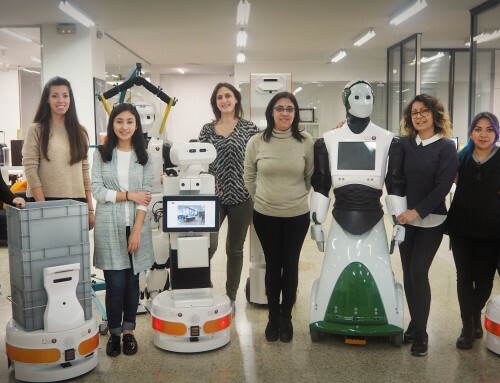 Congratulations again to Team Homer for the 3rd position at World Robot Summit, and best of luck with the robotics competition in which they are participating right now with TIAGo: the ERL PSR Sankt Augustin! Check their latest news on their blog. Image credits: Team Homer (University of Koblenz-Landau).